Founded in 1996 by university friends, Dr. Steven Bloembergen and John van Leeuwen, EcoSynthetix has held the same fundamental beliefs since the beginning: the world needs to reduce its dependence on oil, and naturally derived products can be developed that match or exceed the performance characteristics of traditional petroleum-based chemicals. Today, we’re working hard to find ways to replace non-renewable chemicals with bio-based alternatives in a number of different market segments. 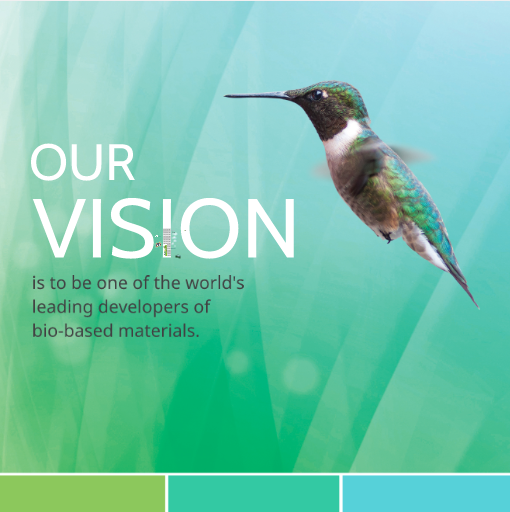 Our vision is to become one of the world’s leading technology and market developers of bio-based materials. EcoSynthetix' environmentally sustainable products can be used in the manufacturing process for a range of applications in the paper, paperboard, building products, adhesives and personal care markets. EcoSynthetix products allow customers to significantly reduce their carbon footprint, while offering equal or superior performance, often at a reduced cost relative to incumbent petroleum-based products. Innovation is the engine of our business – we are building our business through the continuous innovation of bio-based products.